Want to Use Your GI Bill® To Pay For Certain SCUBA Courses? Chattahoochee Scuba caters to all diver and swimmer needs. We have a wide range of products available in our retail inventory. We are stocked to supply every diver's need, from the complete diver equipment packages to a fill of an air cylinder from our mixed gas filling station. We have an in-house service workshop. Our technicians provide maintenance and repairs for nearly all popular makes of diving equipment. 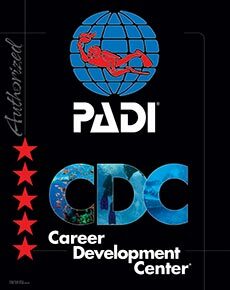 As a PADI 5 Star Career Development Center we conduct all levels of dive and instructor training. All of our teaching staff have completed the rigorous training to certify them as PADI Scuba or Swim, DAN Medical, DSAT Technical, and PSI Technician Instructors. We have a very experienced team of instructors ready to guide you through the journey of discovering all aspects of the underwater world. Our diver training school offers the entire range of diver training courses from teaching people to dive for the very first time to teaching the latest mixed-gas technical deep diving. We also train professional instructors and divemasters. If you wish to start diving, please contact us to join one of our Discover Scuba programs. Chattahoochee Swim offers a wide range of swimming opportunities. We teach people of all ages how to swim and provide advanced swimming courses for both adults and children. Our swim team preparation course will help you improve your strokes. We also open our indoor, heated pool for adult lap swimming. On weekends and some weekdays we host children's swim and birthday parties. Our First Aid training and CPR courses are conducted by qualified Emergency First Responders and Divers Alert Network Instructors. Caring for Children and First Aid at Work courses are available, in addition to specialized courses in Advanced Oxygen Administration, Hazardous Marine Life Injuries, and the use of Automated Emergency Defibulators. We moved to our present location in the Fall of 2007. We are easy to find, located along Veterans Parkway where it crosses over I-185, down the hill. 5870 Veterans PKWY Suite K, Columbus, GA 31909. We have ample car parking available at the front of the building. For hours other than these, please contact us for availability. We often have special events, classes, or pool parties that cause the shop to be open during the off hours or days. Here are the main training agencies whose programs we offer. If you are interested in learning more about these training agencies or have an interest in one not listed, please contact us for more information. Professional Association of Diving Instructors: PADI is the world’s leading scuba diving training organization. With more than forty years’ of experience and 5,300 dive shops and resorts worldwide, PADI training materials and services let you experience scuba diving from nearly anywhere. Most of the courses we teach are PADI courses to include our swim school. 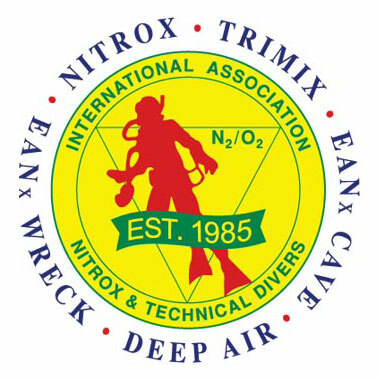 International Association of Nitrox and Technical Divers: IANTD is an organization that focuses on the safe use of Nitrox and mixed gases in sport and technical diving. As a leader in technical and cave diving, IANTD strives to train and educate divers in these disciplines. While we can conduct many IANTD courses, we more consistently offer the cave courses. If you are interested in one of these courses, contact us. Professional Scuba Inspectors/Professional Cylinder Inspectors: PSI/PCI provides training for individuals who work with compressed gases and trains compressed gas cylinder inspectors. The program strives to educate divers and firefighters in the safe handling and use of compressed gas cylinders, valves, and fill stations. 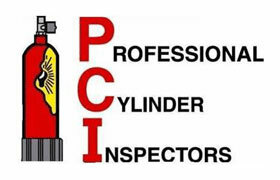 We teach all of the PSI/PCI cylinder inspection and maintenance classes. Underwater Criminal Investigators: UCI was founded in order to provide professional underwater criminal investigations training to the world’s public safety diving community. Our goal is to mold the students into true professional Underwater Criminal Investigators. At least twice a year we conduct UCI training events and teach PSD almost monthly. Divers_Alert Network: DAN provides emergency medical advice and assistance for underwater diving and aquatic injuries, to work to prevent injuries, and to promote diving and aquatic safety, research, and education. We offer most of the DAN classes to include instructor level courses. American_Red Cross: Learn how to effectively prevent and respond to water emergencies with the American Red Cross lifeguard training. Our courses are designed to arm you with the skills and knowledge to prepare you for a variety of scenarios in and around the water. With our lifeguard training, you will learn how quick response times and effective preparation are vital to being a lifeguard while also understanding the crucial elements in helping to prevent drownings and injuries. If you have any questions or would like to know more about these agencies please ask or click on the above links to access their respective pages.